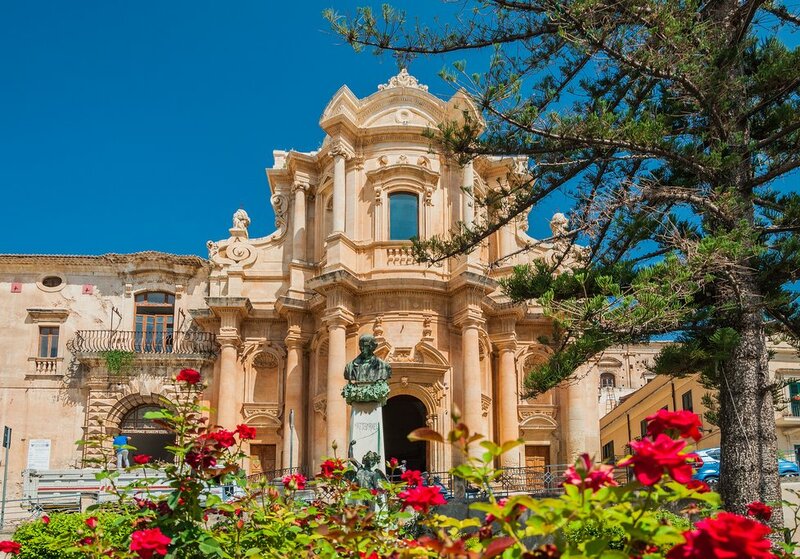 This (mostly) self-guided road trip along Sicily's east coast is ideal for travelers who are looking for an up close and personal look at the people, history, and culture of one of the most beautiful regions of Italy. Those who feel comfortable navigating some portions of the trip on their own will have the best experience on this eight-day itinerary. 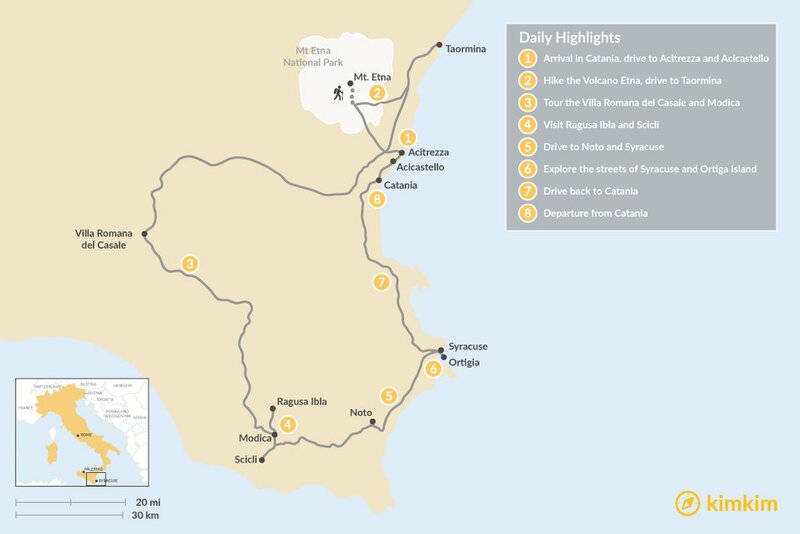 When you arrive in Catania, pick up your rental car and begin your drive towards Taormina, a fute drive north along the coast. On the way, stop to explore the beautiful Ciclopi Riviera about 20 minutes into your drive. This attractive stretch of coastline gets its name from a Homeric legend. The towering black rocks that rise out of the sea were said to have been thrown by Polyphemus, a blinded Cyclops, in a desperate attempt to stop Odysseus escaping. Today's story is that they're actually great hunks of solidified lava, but you can decide which version you like best. 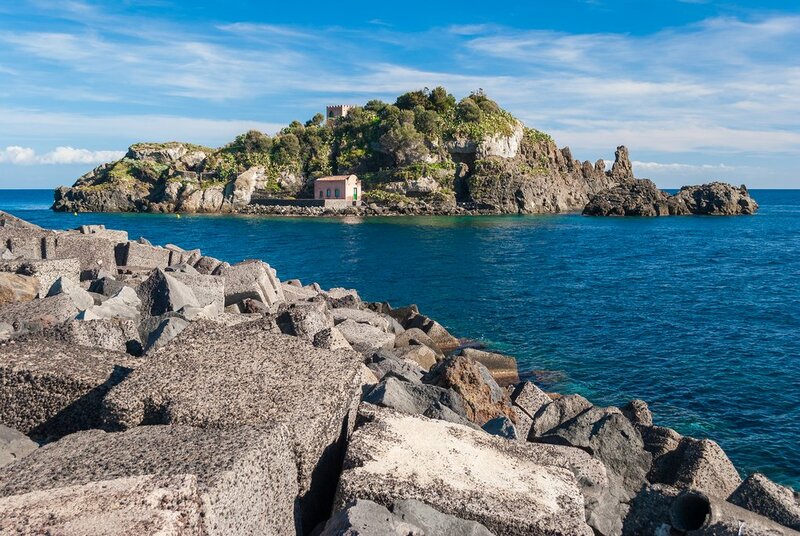 The next stops on your drive are the lovely fishing villages of Acitrezza and Acicastello. Late in the afternoon, you'll arrive at your boutique country hotel, where you can enjoy your dinner and overnight stay surrounded by orange and lemon trees in a scenic coastal villa. Mt. Etna offers dramatic views and an opportunity to get out and stretch your legs. In the morning, drive a little over an hour to Mt. Etna, the biggest active volcano in Europe. 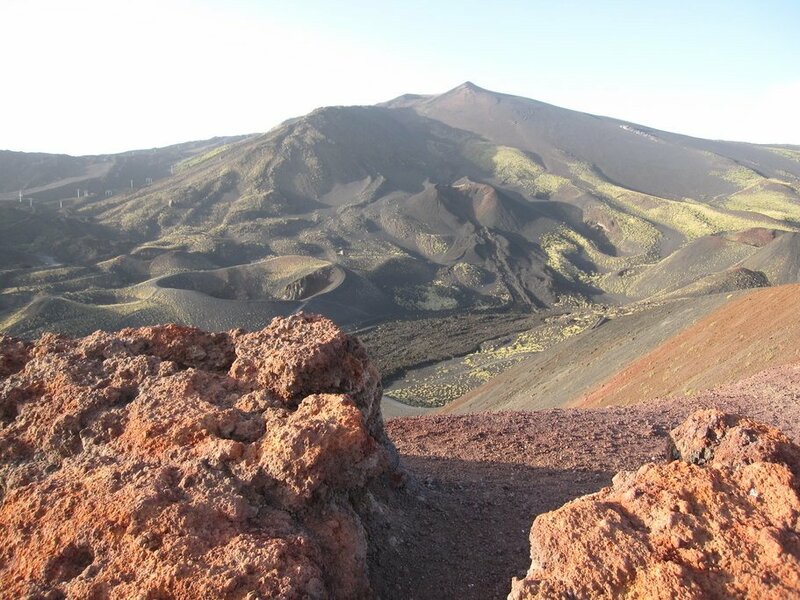 Hike up the spectacular southern face of the volcano past several lava flows. At the top, hikers are rewarded with a 360-degree view of the four craters and the entire Ionian coast. After the excursion, treat yourself to an aperitif and wine tasting on the slopes of the volcano. In the afternoon, head back to the coast and the elegant town of Taormina, which is famous for its antique Greek theatre and stunning views of the Ionian coast. End your day with a cozy overnight stay in a farmhouse. After breakfast, drive to the famous Villa Romana del Casale for a private guided tour. 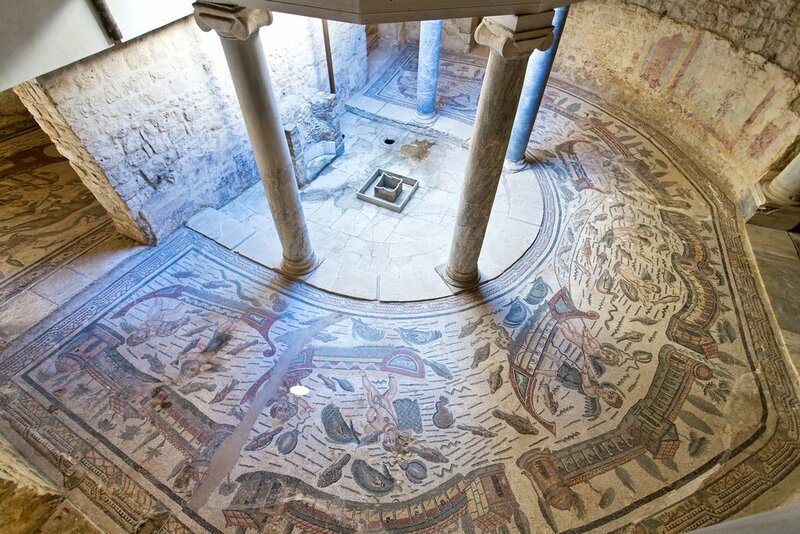 This incredible palace contains some of the world’s best preserved Roman mosaics. It is extremely luxurious and believed to have been built for an elite citizen of ancient Rome. 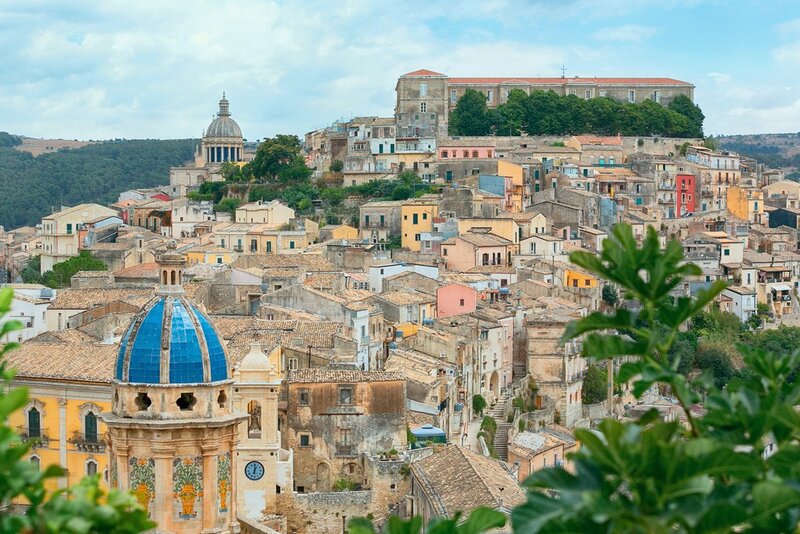 After the visit, begin the almost 2-hour drive to Modica, one of the most beautiful baroque cities in Sicily. Check in to your boutique hotel for the evening and dine in a lovely trattoria in the heart of town. Today will be dedicated to exploring two wonderful baroque destinations: Ragusa Ibla and Scicli. Both have enchanting historical city centers, breathtaking views over picturesque alleys and stairways, stunning churches and great local food. Walk the city streets and explore to your heart's content throughout the morning. In the afternoon, head back to Modica for a chocolate tasting unlike anything you've ever experienced. Modica's chocolatiers are inspired by ancient Aztec recipes and you'll be hard pressed to save room for dinner this night. You will stay one more night in this city before moving on. The church of St. Dominic, a magnificent example of Sicilian Baroque in Noto. 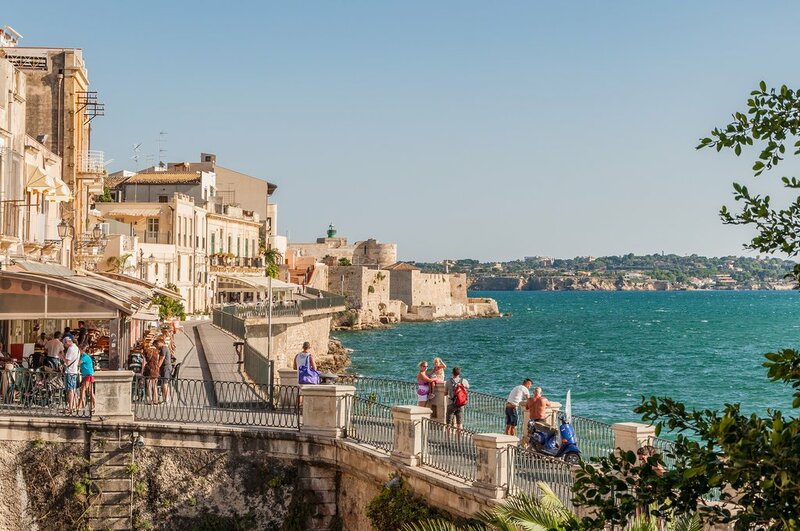 Begin your journey to Noto after stopping in at one of the most famous wine cellars in the world. You will enjoy a light lunch with local specialties and, of course, a wine tasting under a canopy of olive and carob trees. 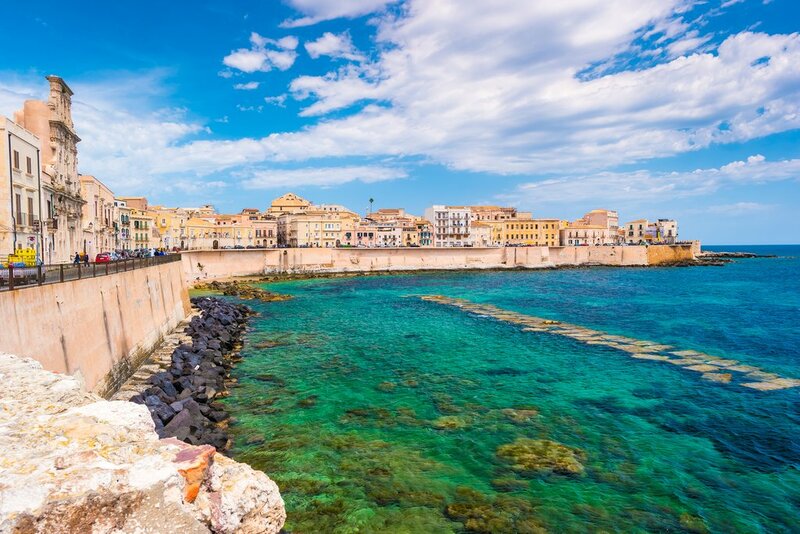 You will then continue on with a scenic drive to Noto, a city that is famous for its baroque cathedral and lively bars. It's absolutely imperative that you sample the local granita or ice cream before you leave. In the afternoon, proceed on to the stunning city of Syracuse, where you will have time to relax and enjoy a lovely evening before settling in for the night. In the morning, meet your guide and enjoy a private guided tour of Syracuse and the famous Archaeological Park with its Greek theatre. Explore the narrow streets of Ortigia Island on your own in the evening. 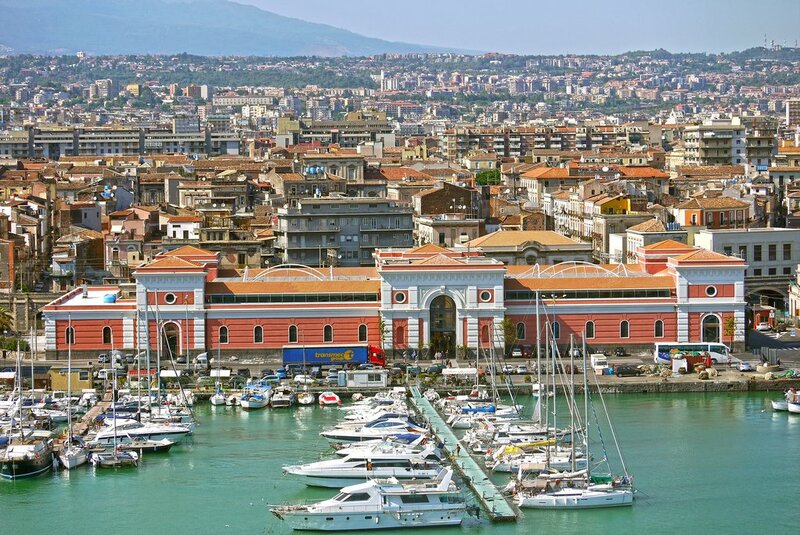 Drive to Catania, where you'll drop off your rental car before checking into a lovely hotel located in the heart of the city where you can leave your belongings for the day. Take a walk around the city to see its marvelous buildings and baroque churches up close and personal. The Cathedral, the vibrant fish and food market, Piazza Stesicoro, and the central Via Etnea are all must sees. The next morning, catch a ride to the Catania airport. Farewell!